Award-winning violinist Gary Capozziello enjoys a varied musical life as both highly versatile performer and teacher. A frequent soloist with orchestra, his concerto appearances have included concerts with the Manchester Symphony, the New Haven Civic, American Chamber Orchestra, Connecticut Valley Chamber Orchestra, Hartt Symphony and the Hartt Wind Ensemble. 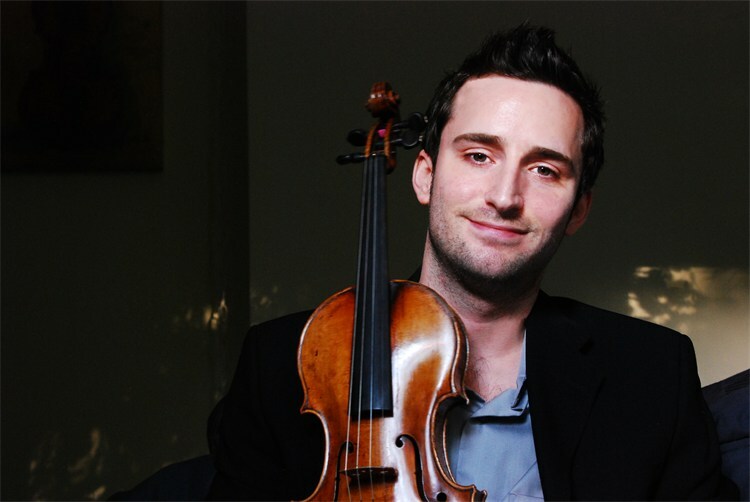 He joined the Hartford Symphony in 2016, and is also assistant principal second violin of the Eastern Connecticut Symphony. A proud product of his native Fairfield, CT, he has twice been featured guest artist at the Annual Fairfield County String Festival, and he has made appearances on “The Exchange” television broadcast and benefit concerts for Music for Youth and South Shore Music Inc. As a chamber performer he has spent two summers performing at the Kneisel Hall Chamber Festival, as well as appearing at the Cambridge International Music Academy (UK), Texas Music Festival, the NYU String Quartet Program, and the Amalfi Music Festival in Italy. He is a doctoral student at the Hartt School and was a member of the 2020 honors chamber music program as doctoral teaching assistant to Katie Lansdale. Gary earned his B.M. at SUNY Purchase Conservatory and his M.M. from New England Conservatory, where his principal teachers were Laurie Smukler, Lucy Chapman and Nick Kitchen. Gary was chosen to perform in masterclass for many of today's influential artists, including Maxim Vengerov, Isaac Stern and Midori, and in chamber music masterclasses for members of the Juilliard, Mendelssohn, Tokyo, Borromeo, American, Orion, Audubon, Fine Arts and Chicago String Quartets. Violinist Gary Capozziello performs The Lark Ascending for Violin and Orchestra by Ralph Vaughn Williams.